The Micro Bird® by Girardin serves a wide range of transporters. 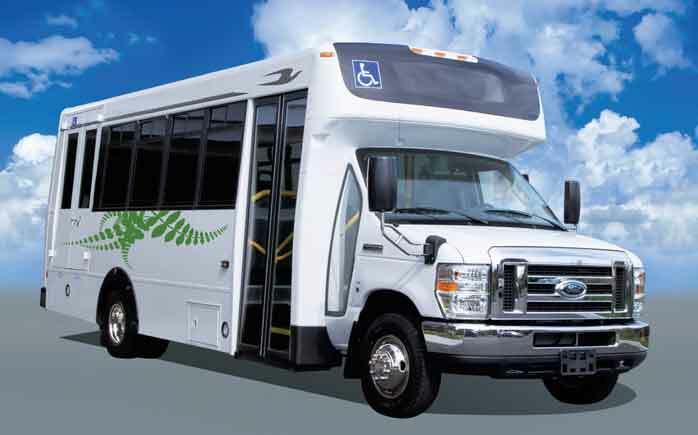 Manufactured for school, childcare, church, tour, and shuttle markets, the propane-powered Micro Bird® by Girardin marks the newest offering from the Blue Bird Corporation’s line-up of alternative-fuel vehicles. Blue Bird says the Micro Bird is an extension of its commitment to affordable green solutions. With seating for up to 30 passengers the Micro-Bird features a Ford E-450 chassis and uses the 6.8L engine with a ROUSH liquid propane system. According to Blue Bird vice president of sales, Bill Danner, the new Micro Bird went on sale exclusively through Blue Bird dealers throughout North America with production scheduled for later this year.